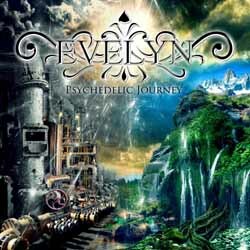 Dark atmospheric electronic metal band Evelyn from Poland has just released its new single “Psychedelic Journey“. It is a digital only release available through the band’s official Bandcamp page, consisting of a new 11-minute instrumental track. This is the third single for Evelyn, after their 2012 full-length album “The Key to Understanding Suicides“. It was recorded, produced and mixed by Chorus at Chorus Dark Studio, between December 2014 and January 2015. “Psychedelic Journey” has a clearly more experimental progressive electronic mood and a much better sound quality compared to the band’s previous works.